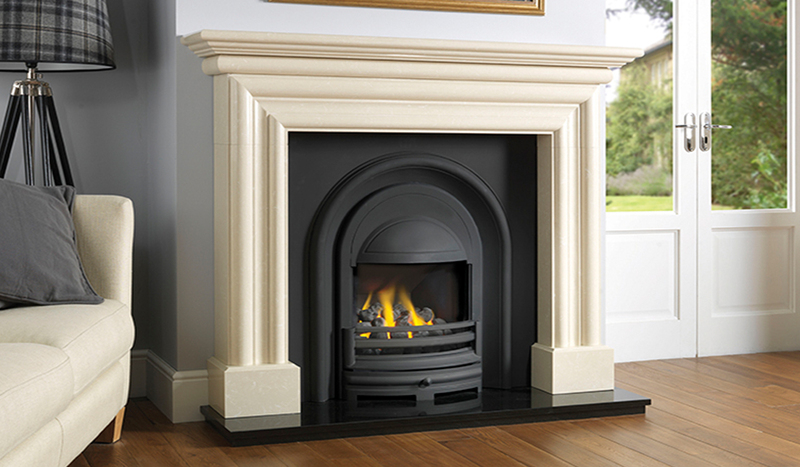 The Hexham is an imposing micro marble surround with a multi tiered mantel. It is available in two shelf lengths, 1500mm and 1350mm. Pictured in Mocha Beige, the surround is also available in Polar White.